Conducted an intensive programming charrette with key managers and end-users with the goal to create a new Aerosol Biology Research Suite. Alternatives were reviewed and several concepts were developed. The renovation then moved into the design phase to renovate approximately 4,000 sq. ft. of space for Aerosol Biology. 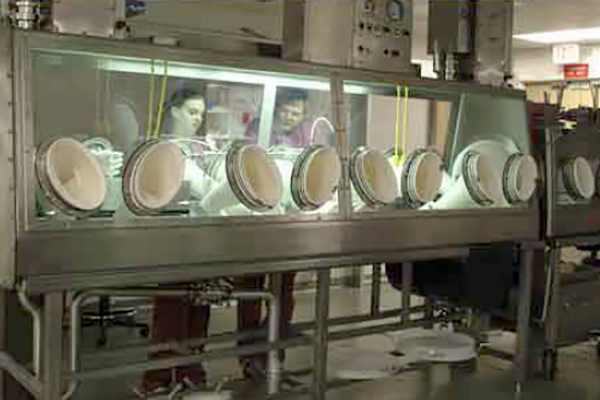 The scope included Bio-Safety Level-3 (Class III) hoodlines, animal holding rooms, and both open and modular laboratory spaces. A new “maintenance friendly” mechanical, electrical, and plumbing infrastructure was developed to include external maintenance and monitoring.